Model soon available The item is currently being restocked in our warehouse, please subscribe to our availability alert to be notified of its availability. 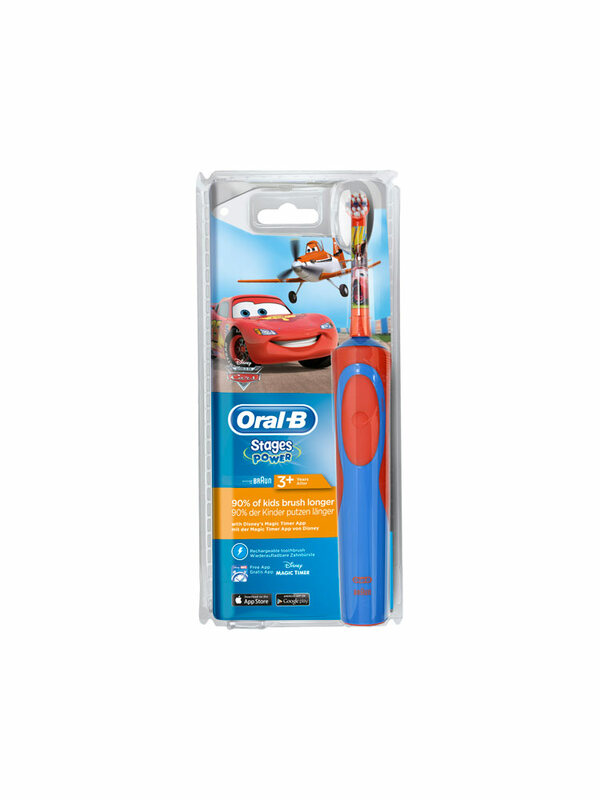 Oral-B Stages Power Electric Toothbrush for Children 3 Years and + is an electric and rechargeable toothbrush specially designed to help children from 3 years and more to brush their teeth well. This toothbrush is rechargeable on a plug, and has a 2 minutes timer which represents the optimal duration of teeth-brushing with an electric toothbrush. Playful, it exists in four models : The Avengers, Cars, Star Wars, Frozen and Disney princess. It is recommended to brush your teeth after each meal and to change your brush head every 3 months. Brush cleans well. Very comfortable grip. Well that is charged from the network! My daughter is happy ! Teeth are clean and healthy! One little lady was sooooo happy to get this toothbrush! Great purchase!